Mud left TomorrowWorld guests stranded overnight; day 3 canceled - trendistic.com: ever tried. ever failed. no matter. try again. fail again. fail better. 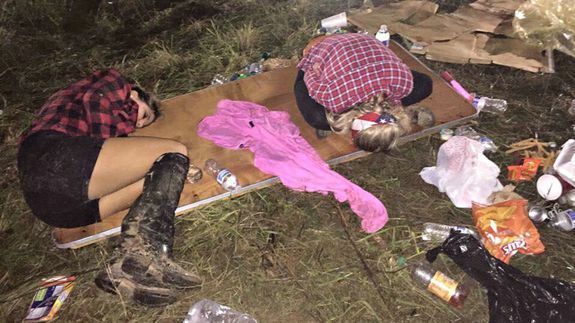 CHATTAHOOCHEE HILLS, Georgia — Thousands of exhausted TomorrowWorld music festival guests, who tried to leave the venue Saturday night after Hardwell’s closing set, were stranded overnight along the side of muddy roads near the woods.